The year 1969 saw the creation of two of the most important landmarks in the parallel worlds of car design and watch making: Range Rover and Zenith. In England, a team at the Rover car company led by Charles Spencer King first put pen to paper to create a vehicle that combined the off-road capabilities of a Land Rover with the comfort of the best-appointed saloon - the result of which was dubbed 'Velar' at the development stage before finally being given a name that has since come to be recognised the world over: Range Rover. On January 10, 1969 meanwhile, the Swiss manufacturer presented a fully working prototype of the world's first self-winding chronograph movement, which it called the famous El Primero chronograph movement, or 'the first'. Capable of recording elapsed times down to one-tenth of a second thanks to its ‘high-beat' oscillator, it was the most accurate wrist chronograph ever made. Both the Range Rover and the El Primero continue to be recognised as class-leaders in their respective fields. The latest, fourth-generation Range Rover because it combines supreme luxury with outstanding performance and off-road capability, and the El Primero because, after 47 years, it is still the most precise, series-produced mechanical chronograph movement on the market. 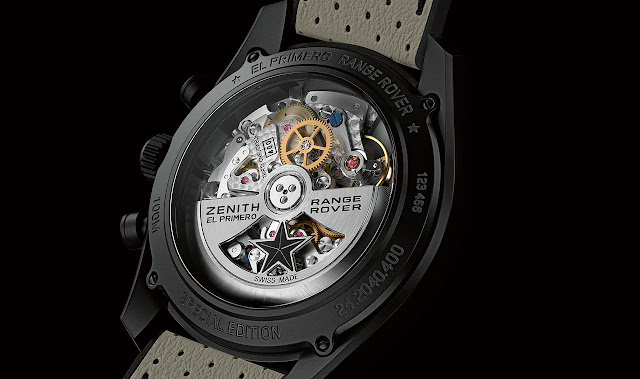 These two milestones of engineering have now come together in a partnership that celebrates their mutual longevity and shared values in a special edition watch called Zenith El Primero Range Rover, which was first revealed at the unveiling of the most dynamically-capable Range Rover yet produced - the SVAutobiography Dynamic. Aldo Magada, President and CEO of Zenith said: "The match between our two brands is very strong. Zenith and Range Rover are both pioneers in our respective industries, and we both create unique, innovative products. Through timeless design, both brands express authentic luxury. The Zenith team is very excited to start this long-term partnership with Range Rover, another superb brand and kindred spirit." Each Zenith El Primero Range Rover will feature a 42mm case made from ceramisedaluminium, and like the aluminium architecture of the Range Rover, combines light weight with extreme durability. The minimalist aesthetic of the new Range Rover's dashboard controls are similarly espoused in the clean appearance of the watch, which features a brushed, slate grey dial, three subtle but highly legible chronograph subdials and a robust winding crown paired with easy-to-operate push-pieces. Turning the watch over, meanwhile, reveals the Zenith and Range Rover names engraved discreetly on both the oscillating weight and the retaining ring for the transparent case back. "The Zenith El Primero is one of the most distinctive watch designs ever produced, in my view. Therefore it has been imperative to honour and respect this iconic design. It had to remain unmistakably an El Primero, but allude to Range Rover DNA.” says Gerry McGovern, Land Rover Chief Design Officer. "We looked to the reductive nature of a modern Range Rover interior and the Zenith team translated that into the dial of the watch, keeping it simple and unfussy. The matt finish simultaneously suggests understatement, sophistication and durability - like a Range Rover, it's an object you look at and immediately feel an emotional connection." adds McGovern. The very similar design values of the Range Rover and the Zenith El Primero have long been recognised by people who desire beautifully-designed objects, but equally want flawless function. 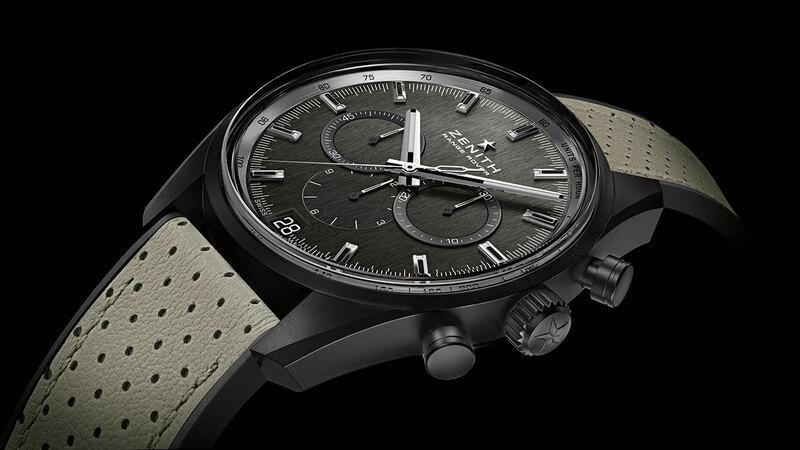 One such person is the British explorer Colonel John Blashford Snell who was quick to recognise the parity between the two designs when he chose to wear a Zenith El Primero chronograph while leading a team equipped with two Range Rovers to achieve the first successful crossing of the infamous Darien Gap in 1971/72 as part of the 18,000-mile Trans-America expedition. "We believe the Range Rover's particular combination of luxury and performance to be unique, and the new Range Rover SVAutobiography Dynamic takes those qualities to the highest level yet," says McGovern. "No mechanical chronograph has surpassed Zenith's El Primero for accuracy or proved its quality over such a long period of time. To me, that makes these two great pieces of design a perfect fit." The new Range Rover SVAutobiography Dynamic sits at the pinnacle of the Range Rover line-up, and is the most dynamically capable full-size Range Rover to date. 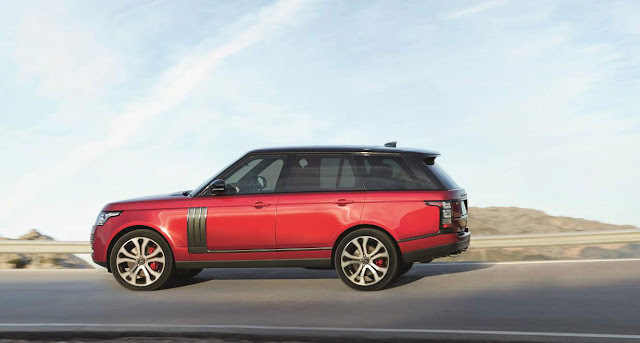 Designed and engineered for those seeking optimum performance from the driver’s seat, rather than those preferring the sumptuous luxury in the rear of the long wheel base Range Rover SVAutobiography, it is supplied with a 5.0-litre Supercharged V8 engine tuned by Jaguar Land Rover Special Vehicle Operations. Producing 550PS and 680 Nm torque, performance and handling is optimised through a unique suspension specification which results in a ride height that is eight millimetres lower than standard. The Range Rover SVAutobiography Dynamic is clearly identifiable by body details finished in Graphite Atlas, chromed quad tail pipes, red Brembo front brake calipers and clear rear lamp lenses. 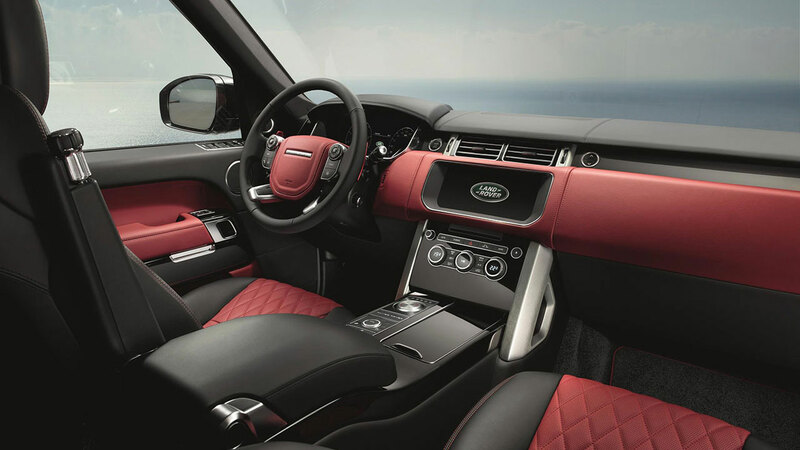 Inside, the car features diamond quilted leather seats – available in four colourways - with contrasting stitching; Grand Black veneer door casings with a distinctive red keyline and anodised red paddle shifters. The Zenith El Primero Range Rover features a 42mm case made from ceramised aluminium finished in a dark, highly scratch-resistant ceramic coating. The Graphite Atlas details of the Range Rover SVAutobiography Dynamic are echoed in the grey dial of the watch which carries a 'brushed' finish while the case back is made from sapphire crystal and retained by a ceramised aluminum engraved with special edition wording. 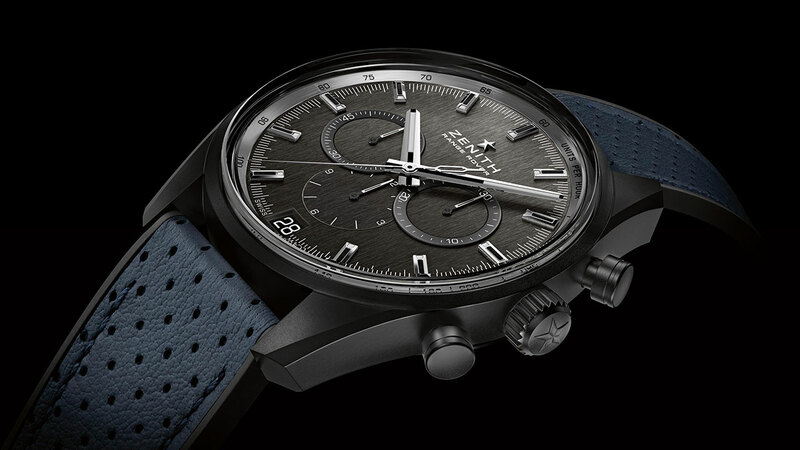 The clear case back affords a view of the celebrated El Primero movement which is renowned for its accuracy and unique ability among series-produced, mechanical chronographs to record elapsed times down to one-tenth of a second as a result of its high-frequency oscillation rate of 36,000 vibrations per hour (VPH) compared with the more usual 28,800VPH. Each Zenith El Primero Range Rover watch will be supplied on a black rubber strap with ivory-toned perforated calfskin and a black Diamond-Like Carbon (DLC) coated titanium triple folding clasp. The new chronograph will be delivered in a watch box made from the same gloss-lacquered wood found on Range Rover interiors and applied with the Range Rover logo. The watch box opens at the press of an engineered button similar to the type used on the Range Rover, and is trimmed in smooth, perforated leather in the style of the car's upholstery. The Zenith El Primero Range Rover will be supplied with an additional rubber strap finished in Range Rover Navy Perforated Leather.